to learn Italian and get first hand experience of Italian culture? to immerse yourself in the warmth of Southern Italy, far from the madness of mass tourism, and discover the hospitality of a small ancient town located in the midst of hills and sea? We can turn your wishes into reality. Come to Casa di Puglia! We are a small Cultural Association, with experience of teaching and tourism. We aren’t a conventional school, but we offer Italian courses for foreigners in a traditional family environment. 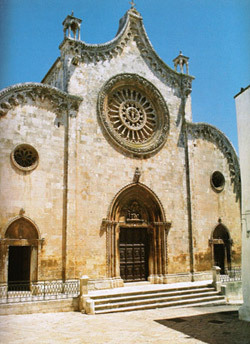 We also offer guided tours and excursions to get to know Apulia. We are in Apulia, in the South of Italy, where the climate is so mild that we grow oranges and lemons and you can breathe in the perfumes of the "mediterranean maquis". In the gardens of the ancient villas you will also find prickly pear and various examples of palm trees. 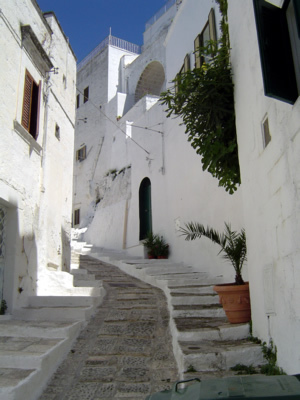 OSTUNI, also called the "White City" is a typical southern italian town, just 4 miles from the sea. The town is perched on the hills, 230metres above sea level, which gives a breathtaking view over the olive groves and the Adriatic coast. With 33,000 inhabitants, Ostuni is an easy town to live in. It has kept its pleasant atmosphere and sense of hospitality and so it is still easy to get to know the people here. Few people speak a foreign language, so you can try out your italian immediately! 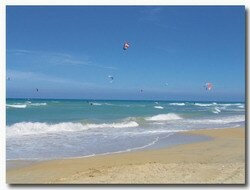 Ostuni is not part of the mass tourism trail. The town is a little crowded only during the August holidays.